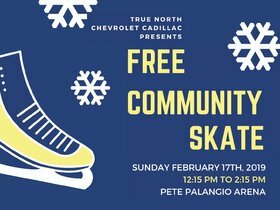 True North and the North Bay Gathering Place, which delivers programming to address food insecurity issues in our community, have been working closely together over the last few months. Our sales professionals have volunteered their time to pick up Giant Tiger and Freshco food rescue loads in one trip, with the help of True North's commercial vans. These food rescue loads are then delivered to the gathering place on a weekly basis! Thank you to the Gathering Place and Deanna Moore for making this great opportunity a reality! 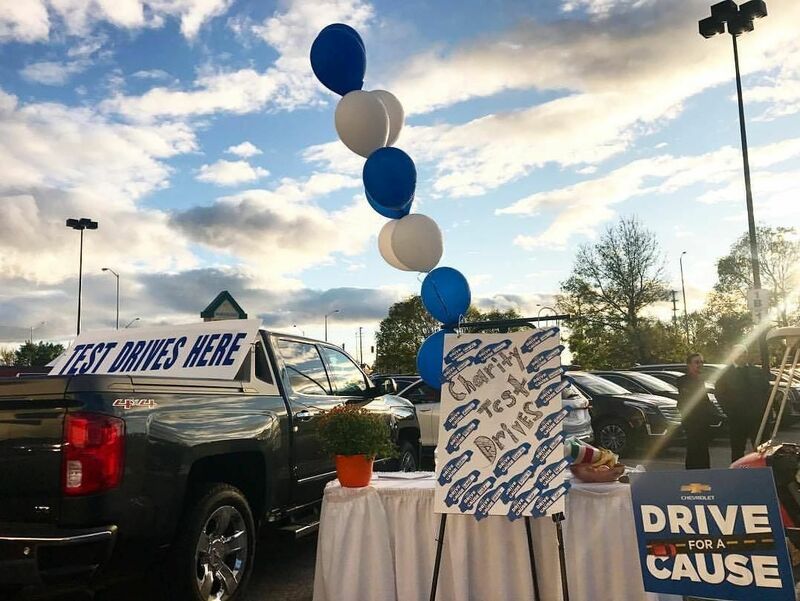 In September, True North held a parking lot party at the Northgate Shopping Centre mall September 28th-30th to host a Drive for a Cause Event to benefit and bring awareness to Big Brothers and Big Sisters of North Bay & District. 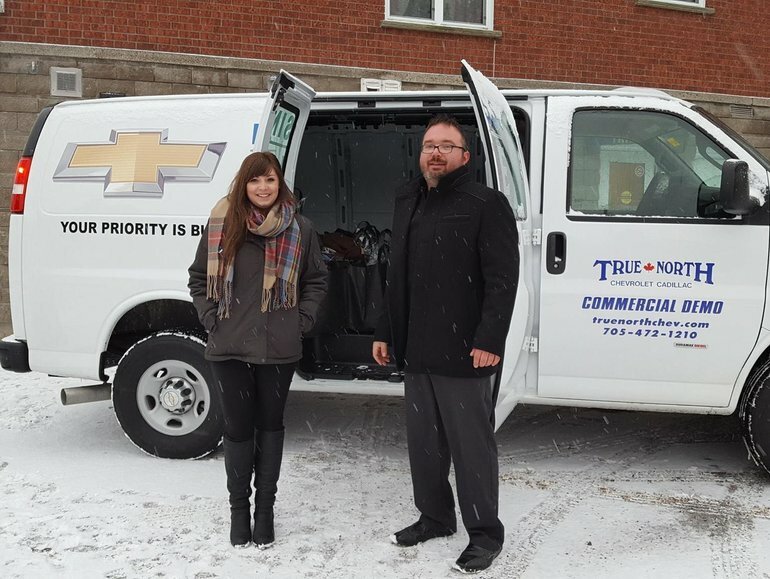 With 120 test drives completed by community members, True North partnered with General Motors Canada donated $3000.00 to this wonderful foundation. There are still children on the wait list for a Big Brother or Big Sister in North Bay. Learn more about how you can help at http://www.bigbrothersbigsistersnorthbay.org. We also proudly supported the Tim Horton’s & YMCA 25th Annual Golf Classic held at the North Bay Golf & Country Club on August 14th, 2017. This event welcomed 200 golfers to play a full round of 18 holes where 100% of the proceeds benefitted the 2017 YMCA Strong Kids Campaign. This amazing Campaign increased opportunity for higher enrollment in camping, organized sport and swimming lessons, education in healthy living and creating bright futures for children and families in our region. Learn more here at www.ymcastrongkids.ca. 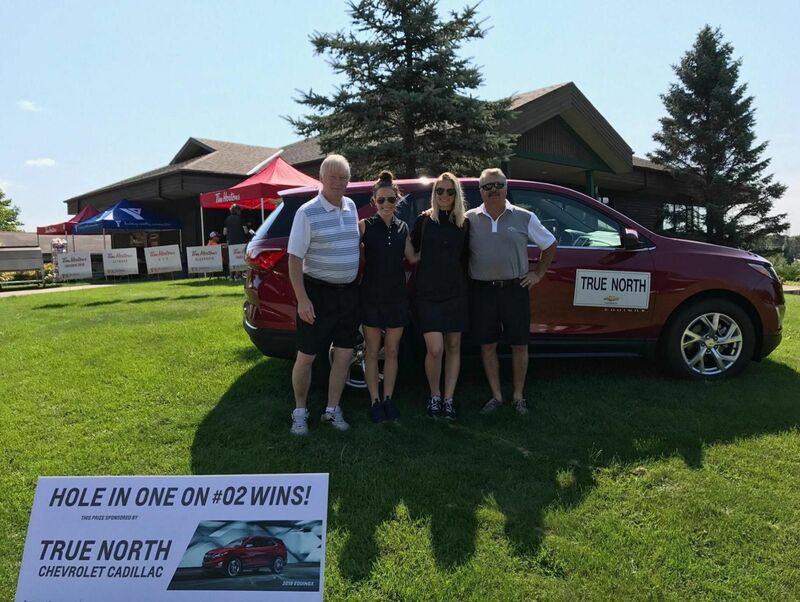 As proud sponsors, True North Chevrolet Cadillac donated a brand new next generation 2018 Chevrolet Equinox SUV as the top prize for a hole in one and 2 Platinum seat tickets to a Toronto Maple Leaf Hockey Game in January 2018. Unfortunately there was no hole in one, but one very happy golfer will enjoy a Leaf hockey game! Go Leafs! In August 2017 we were proud to support “The Amazing Race” meets “Minute to Win It,” a family-friendly fun event held on August 12th. All proceeds from the event went to Hope Awaits Ministries- a local men’s shelter in North Bay Ontario. Contestants completed various tasks in a minute or less at various locations in North Bay. 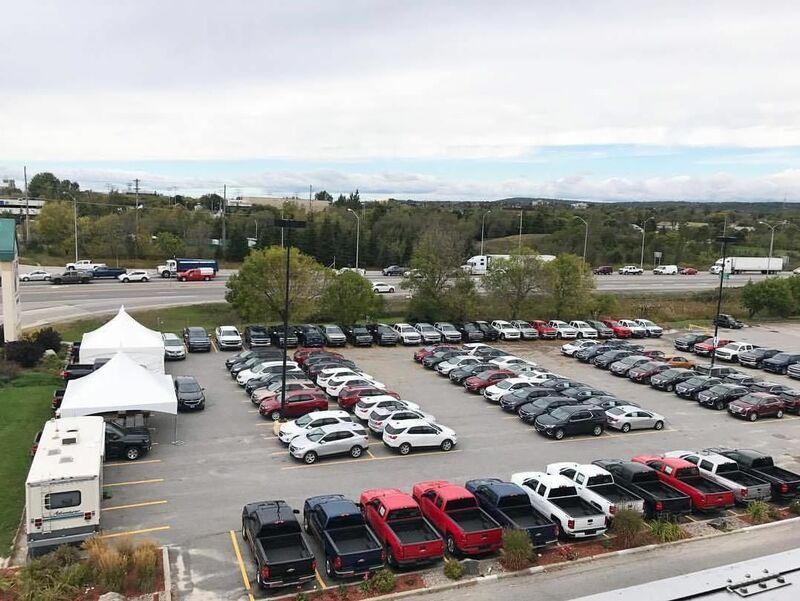 Here at True North Chevrolet Cadillac, we cleared our center car lot for one of the contests to take place! Fix Auto North Bay recognized by Ford, Kia and FCA!